When the tides are low, visitors can see the bulkheads residents installed to protect their homes as Brownwood sunk. With hurricanes regularly striking the Texas Gulf Coast, experiencing multiple hurricanes and tropical storms in one’s lifetime has become a rite of passage and a life marker for coastal residents. Even though Texans know how to prepare for these events, each storm has a unique trajectory and damage path, as Hurricane Harvey demonstrated in August 2017 when the Houston area experienced unprecedented flooding. Among the affected cities was Baytown, home to the ExxonMobil Baytown Complex. Amid emergency evacuations and rescues in numerous Baytown neighborhood, Harvey revived dormant memories of the lost Brownwood subdivision, the city’s “most exclusive address” in the 1940s and 1950s. 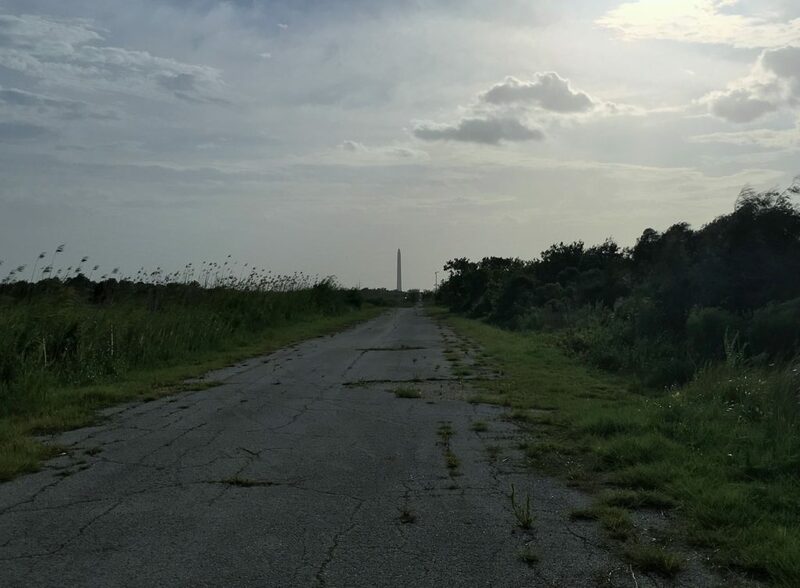 As visitors walk down old roads, they have access to some of the same views that attracted former residents, such as the San Jacinto Monument. For most of the twentieth century, Brownwood was one of Baytown’s most desirable neighborhoods, sitting on a peninsula surrounded by Burnet, Crystal, and Scott Bays. This changed with Hurricane Carla’s arrival in 1961 when city officials and Brownwood residents had to confront the silent enemy destroying the neighborhood–subsidence, that is the sinking of land . Ultimately, Hurricane Alicia’s arrival in 1983 delivered the final deathblow, forcing residents to concede their battle against nature. 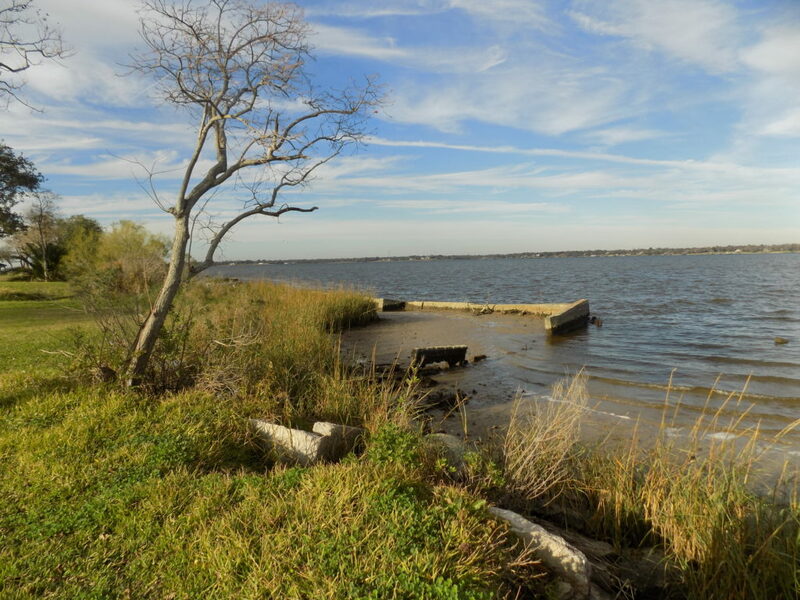 Against the residents’ wishes, city officials bought the land and created the Baytown Nature Center. Yet, underneath that nature center façade, visitors can still find artifacts and the foundations of the homes that once stood there. Less than two years after Hurricane Alicia’s landfall, Clem Hausmann drove around the Brownwood subdivision, capturing in video the neighborhood’s demise. When former residents attended the Brownwood Homecoming Reunion during the Baytown Nature Center’s opening, they also had the opportunity to share their memories about their former neighborhood. Both parts of the reunion are available on the Sterling Municipal Library YouTube channel. Scott Dailey posted the video below to YouTube, informing viewers about the nature center’s history while offering glimpses of how it looks today.